There has been some talk about Sachin Tendulkar not attending Parliament as nominated member of the Rajya Sabha. In my view, the right place for Sachin is back in the India T20 side masquerading as a Test team in the recently concluded series in England. Despite his age Sachin would have scored more than Kohli, Pujara, Gambhir, Vijay, Rahane, Dhawan put together. Just as Rahul Dravid would have played more deliveries in one innings than the entire team minus MS Dhoni and Bhuvneshwar Kumar for the full five match series. Tendulkar has been pulled up by MPs and the media like a school kid is reprimanded for bunking classes or a coach pulls up his wards for slackening during training. And, we all know that a lot of our media and MP's are not exactly paragons of virtue or exemplary behavior in their personal or professional lives. Indian media is robust and aggressive and integral to defining us as a democracy, albeit a shrieking one, but has its limitations, corporate and political biases that need not be spelled out here. Our MP's are not very inspiring either. Parliament has been hardly allowed to function for months, years, while our exalted representatives enjoy perks and privileges that are billed to the tax payer who now hope that Modi will deliver on his "Acche Din" promise soon - Roti, Kapda, Makaan and Toilets. No doubt, our basic basket of necessities has evolved, courtesy Modi. The MPs, meanwhile are asking for another round of salary hikes. Is there any organization anywhere in the world that would pay employees salaries for not attending office? Rather, the employees do manage to reach office, scream at the top of their voices, go home and relax. And, get paid handsomely for the efforts. 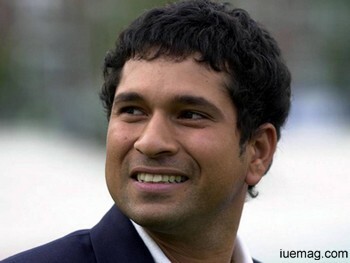 I am a big fan of Sachin, like millions others. I do not have a problem if he is awarded the Bharat Ratna as he deserves it. Others, long dead or still alive, Lord Ram and Jesus Christ may merit it as well, but that does not in any way make Sachin ineligible for the award. I do not have a problem if Maria Sharapova has not heard of Sachin as I am very interested in watching the astonishingly pretty tennis player, not her views. I do not have a problem if our cricketers travel with their wives or girlfriend even if she happens to be the very pretty Anushka Sharma. Given their massive celebrity status, Indian cricketers can be enticed by a million other distractions. Blame lack of technique on seaming English conditions and James Anderson for Kohli's lack of runs. Girlfriends do not win matches or lose them. Did anybody blame Irina Shayk when Portugal was knocked out of the soccer World Cup? Portugal was just a bad team and there is only so much that Ronaldo could do. I do have a problem with the kind of money our cricketers make especially after they are thrashed the way they were in England. I do not have a problem if Sachin does not attend Parliament, despite being a MP. I believe India's biggest cricketing icon is above reproach and cannot be measured by yardsticks reserved for lesser mortals like us. I believe Sachin has earned the stature over the years as an unmatched world record breaking gentleman cricketer without a whiff of scandal. It is true that democracy entitles us to freedom of expression. But, it also bestows upon us to act as responsible citizens, except on Facebook. Yet, I want to re-iterate - please do not send me any more Candy Crush requests or Tag me in a photo in which I am not there. For those who have followed Sachin's personal and career graph over decades, it can be safely presumed the Master Blaster is not one to allow even a hint of dissonance and criticism to rest for too long. Sachin makes mistakes, even God's do. Most of India expected him never to get out when he batted. But, he did. However, his genius was unquestioned. I think he was castled first ball by a rampaging Shoaib Akhtar once. Everybody knew he would go back to the dressing room, mull over a dismissal and come back stronger, like he did in the World Cup in South Africa when he blasted Akhtar out of the attack. Maybe, taking up the offer to become MP was not the right decision, given Sachin's other commitments. Becoming a MP is not an adornment, it is a responsibility. Yet, I believe we Indians need to introspect whether we point fingers too often and too soon. It is best to leave it to Sachin to sort out his role or lack of it in Parliament. He does not deserve to be pilloried by individuals who are not a patch on the man's greatness. That would be the dignified thing to do. Any facts, figures or references stated here are made by the author & don't reflect the endorsement of iU at all times unless otherwise drafted by official staff at iU. This article was first published here on 23rd September 2014.